Stephen Cerniglia is a partner in the firm’s Real Estate Finance & Investment Group. 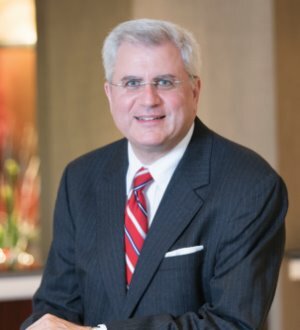 His practice is primarily focused on commercial real estate finance, representing commercial banks, investment banks, insurance companies, funds, regional and local banks and other financial institutions in a variety of loan transactions—including permanent, bridge and construction loans, mezzanine financings, credit facilities and split loan structures—secured by office buildings, shopping centers, multifamily developments, raw land, industrial properties, student housing properties, hotels, casinos and mobile home parks located throughout the United States and Puerto Rico. The financings vary from single-asset loans to cross-collateralized and cross-defaulted transactions secured by multiple assets across numerous juristictions. Stephen has extensive experience negotiating intercreditor, co-lender and participation agreements, and advising lenders on their rights and obligations as a lender in the debt stack. He is actively engaged in representing lenders in the restructuring of distressed commercial real estate loans, including partially and fully funded construction loans, land loans, permanent mortgage loans, bridge loans, mezzanine loans and credit facilities. He also represents lenders in connection with foreclosing on commercial real estate loans. Stephen advises financial institutions on both the purchase and sale of commercial loans, including the financing of a purchase. He is listed by Best Lawyers in Real Estate. New York Law School, J.D.